Southampton have been drawn to play the Danish side Midtjylland in the play-off round of the Europa League after easing past Vitesse Arnhem. Saints completed a 5-0 aggregate success against Vitesse on Thursday and are 1/1 to beat Newcastle on Sunday and 1/1 to clinch a top-six finish in the Premier League this season. Midtjylland won their domestic league for the first time in their history last season during which they won 15 games in a row at their home ground of the MCH Arena. They dropped into the Europa League after being beaten by the Cypriot side APOEL in the third qualifying round of the Champions League. The first legs will be played on 20th August with the second games played seven days later. Meanwhile, Ronald Koeman may miss Sunday's Premier League encounter with Newcastle United because of an Achilles injury. The Saints manager sustained the injury in training at the GelreDome on Wednesday, and attended the 2-0 second leg win at Vitesse on crutches and wearing a protective boot. 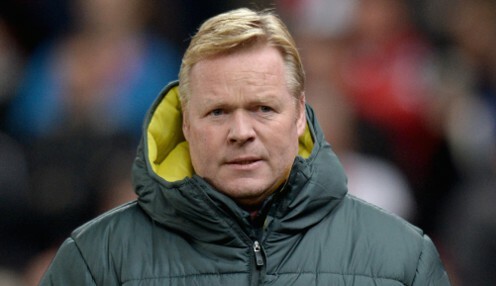 When asked about Ronald's injury following the win, Erwin Koeman said: "He's fine. He knows he has already some problems with his Achilles and if you are involved in a training session then this can happen what happened. "We will hear on Friday if he is on Sunday on the bench or not. He goes to hospital and then they will decide what to do."